Florida may be Sen. Marco Rubio's hometown, but analysts say he got a late start. But the state's also familiar turf to rival Donald Trump, whose campaign has been on the ground there for months. 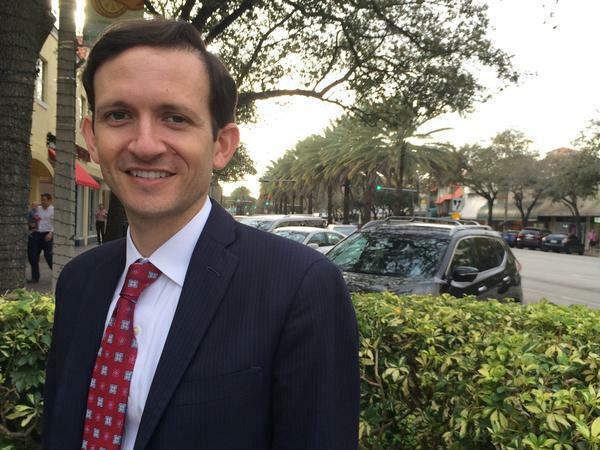 Richard DeNapoli, the former chairman of the Republican party of Broward County, was a Jeb Bush supporter, but he's now helping the Donald Trump campaign. 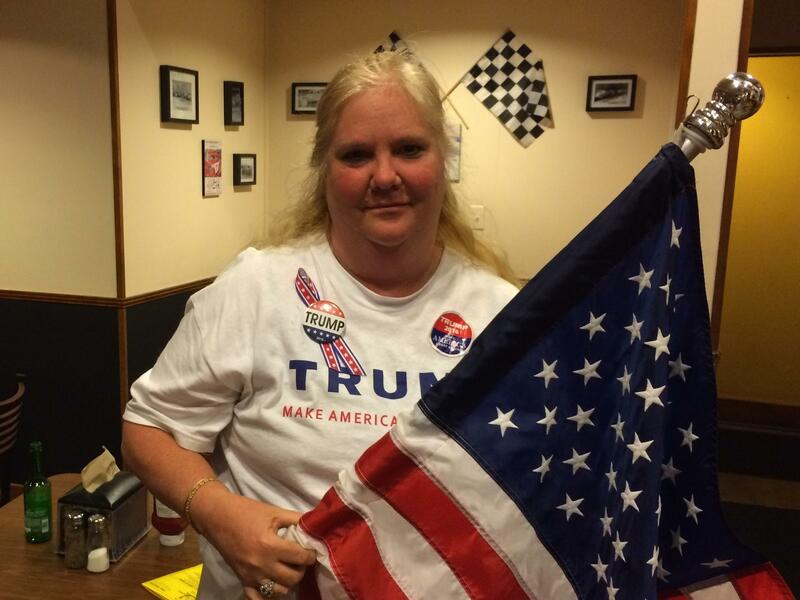 Linda Schainberg, 53, organizes weekly volunteer meetings for Trump supporters in Hollywood, Fla. In Florida, it seems Trump's presidential campaign is seemingly everywhere and nowhere at the same time. Trump is on TV non-stop. And, yet his campaign infrastructure has always been a bit of a mystery. Trump's ground operation may not be as visible as a traditional campaign, but it's been operating in Florida for months. "No other campaign's been on the ground because they've been focused on other states, and they haven't been able to have the resources here, but since October Donald Trump's been moving forward," said Joe Gruters, Trump's Florida co-chair, who's also the vice-chair of Florida Republican Party. Trump made his first Florida hire in October of last year — Karen Giorno, who had previously handled external affairs for Florida's Gov. Rick Scott. He also brought on the former data director for the state Republican party. And, he all-but-has the endorsement of the governor, who wrote an op-ed in USA Today that claimed "Donald Trump has America's pulse." Gruters says Trump has another distinct advantage in Florida. "This is his second home, he could be called a Floridian," said Joe Gruters. "The guy's invested tens of millions of dollars in businesses here. He's attended local Republican events across the state for years, and really built some solid relationships early on." Some analysts say Trump's initial Florida strategy was focused on Jeb Bush, but now, with Bush out of the race, he has the tools to refocus on Rubio. To date, the campaign only has two brick-and-mortar offices in the state, according to Gruters. Much of the operation seems slightly ad-hoc, as Trump supporter Richard DeNapoli explained. "They hold these organizational meetings, usually at a restaurant that has a private room, something like that," said DeNapoli, the former chairman of the Broward County Republican party. "So, at that meeting, they have a three-minute video that teaches you to how to use the calling program where you can make calls from home on behalf of the Trump campaign." It's akin to traditional phone banking with a twist that resembles The Apprentice. "Usually we do a contest for whoever the person in each county who does the most calls — then they get a meeting with Donald Trump," explained DeNapoli with a laugh. At a recent Trump volunteer training, about 20 supporters gathered at a wings restaurant in Hollywood, Fla. Linda Schainberg, a 53-year-old Trump volunteer, discussed the importance of sign waving at the early polling sites. Other folks explained the weekend plans for door knocking and phone banking — all traditional campaign strategy with one exception — there was actually no staff on hand; it was an entirely volunteer force. "I try and hold a weekly event here to bring volunteers together to help Donald Trump win the presidency," explained Schainberg, sporting a Trump T-shirt and a matching Trump button. Marco Rubio was supposed to have a built-in advantage, as the local-boy-turned-presidential-candidate. He's the native son in this story. He was born in Miami, played football at a Miami high school, and currently represents the state as a senator. But even though Florida may be Rubio's backyard, analysts say he got a late start. He hasn't been on the ground as early and as frequently as he ought to have been. And, for months, Miami itself was largely the domain of the Bush headquarters. Rubio was running his campaign out of Washington, D.C., and only began opening offices in Florida around Super Tuesday early this month. His campaign insists they've been operating on a grassroots level for months. "We've had a call-from-home program even before we had offices," said Alex Burgos, a spokesman and adviser with the Rubio campaign. At Rubio's local Miami office, people crowd into a room to make calls in English and Spanish — it seems like a strong, old-school ground game. "What we've been doing here is get out the vote calls, working the absentee ballots, encouraging people to go vote early," said Burgos. "This is Marco's hometown base, this is Marco's geographic base. We want to make sure there is strong turnout throughout Florida, but especially among the people who know him best in South Florida." South Florida is home to a large number of Republican Cuban-Americans the campaign is hoping to galvanize. "We have teams walking in important neighborhoods ... a great deal of the suburban areas that have a large Cuban-American population," explained Armando Ibarra, a Miami co-chair for Rubio. Ibarra also points out that Rubio has won a tough election before in Florida, and he knows what to do. "He won a statewide campaign in 2010, which means he had to build a statewide operation and churn out these voters," said Ibarra. These days, Rubio is campaigning non-stop with no intention of leaving the state until the primary is over. "I need your help. We have to win here in Florida, it was always going to come down to Florida," Rubio told a few hundred voters in the overwhelmingly Hispanic city of Hialeah earlier this week. Rubio was pleading for their support. "If everyone here votes and finds others who will vote. If those of you who haven't voted, will leave here now and go a few blocks away and cast your early ballot, we are going to win this election," Rubio said. But, Rubio has another obstacle. The Cruz campaign says it has opened ten offices across the state, including one in Rubio's backyard — Miami. Cruz isn't expected to win Florida, but he wants to ensure that Marco Rubio doesn't either. At a campaign rally in Miami this week, the Texas senator played up his Cuban roots and insisted he's the only viable alternative to Trump. "At this point, our campaign has beaten Donald Trump not once, not twice, not three times, but eight separate times," Cruz told the crowd. And, on Friday, all three men — Cruz, Trump and Rubio — held campaign events in Florida. The action on the ground before March 15 is important, but any last-minute ground game is limited, because of the popularity of early voting in Florida. Analysis from the University of Florida's Daniel Smith shows that already about a million Republicans have cast their ballots, and 42 percent of them were newcomers — people who did not participate in Florida's 2012 presidential primary.